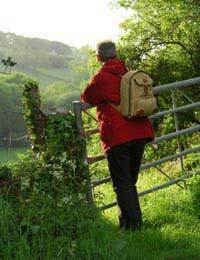 Before taking your first trip to a rural area, it is worth consulting The Countryside Code. Applying to all parts of the countryside, the code has been in existence since the 1950s. Currently overseen by Natural England, the code documents the responsibilities of members of the public when visiting rural areas and of the people who care for and manage the land. Land managers are encouraged to make it easy for visitors to behave responsibly and to identify potential threats to the safety of members of the public. So, what does The Countryside Code encourage visitors to do? The five sections of the visitors’ code are designed to help the public to protect and respect the countryside, so that it can be enjoyed both today and for decades to come. The first section of The Countryside Code is all about information and preparation. Before you set out, find out where you can and can’t go. Access to some areas of land may be restricted, so it is important to heed advice and read signs and posters carefully. Ensure that you are carrying as up-to-date a map as possible. If possible, contact the local information centres to find out about issues that may affect your visit. As you will be responsible for your own safety, take care to pack all the equipment and clothing you will need. Make it a rule to check the weather forecast before you set out but always be prepared for a range of weather conditions. Don’t be afraid to cancel or change your plans if hazardous weather conditions are predicted or if you encounter bad weather along the way. Be sure to tell someone where you are going and what time you expect to return. You should also familiarise yourself with the symbols and signs used in the countryside. This second section is designed to help visitors to respect the working life of the countryside. Be sure to leave gates as you find them, whether that be opened or closed. The farmer will have left them that way for a reason. If you are walking through a field where a crop is going, try to stick to paths wherever possible. You should also make use of gates and stiles, to avoid damaging fences and hedges. Take special care at sites of particular historic interest, leaving them as you found them. Remember, too, that you should never interfere with machinery or livestock. If you think you might have stumbled across a problem, fetch the farmer or land owner. As well as being unsightly, litter can be a safety hazard and can harm plants and animals. Always take your litter with you. Whilst enjoying the local wildlife, never damage or remove rocks or plants. Be sure to give plenty of space to any animals you might encounter, so as not to frighten or anger them. You should also stay vigilant to fire hazards, so take care not to drop cigarettes or matches. You have the responsibility to control your dog and stop it from harming any plants or animals. Keep your dog on a short lead on open common land. You should always clean up after your dog and get rid of any mess carefully. Ensure that your dog is regularly wormed. Take care to read any signs relating to dogs. Take time and effort to consider the needs of other people. Wherever possible, share lifts to cut down on traffic and pollution. Be careful not to disrupt the routines of local people and keep out of the way of farmers at work. When driving or cycling, slow down for horses or walkers. If possible, do your best to support rural economies by patronising local shops, bed and breakfasts and pubs. Most of what The Countryside Code dictates is common sense. If you act safely, carefully and considerately you are unlikely to fall foul of the code. Reading up on these five sections, however, is a helpful way to prepare yourself for an enjoyable trip to the countryside.